Senior Fest returns to Reno, connecting people with services and local businesses to improve your quality of life. 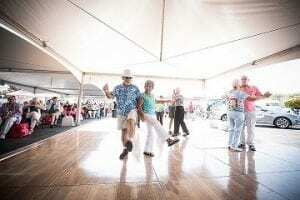 The largest senior outreach of its kind in northern Nevada, more than 50 businesses and agencies will be on hand offering a variety of resources for seniors, boomers and retirees. Join us for this annual event where Renown Health and Senior Care Plus will be providing immunizations and a chance to talk to experts specialized in senior services, stroke, heart, transitional and primary care. Bring your insurance card if you’re interested in getting your flu shot, shingles or pneumonia immunization. Renown will also offer ability to schedule appointments, get your blood pressure checked or schedule an on-site consultation with an expert to discuss transitional care needs. Information and giveaways will also be available. Senior Fest has been creating opportunities for aging adults for the past 22 years. Join us at this fun event!